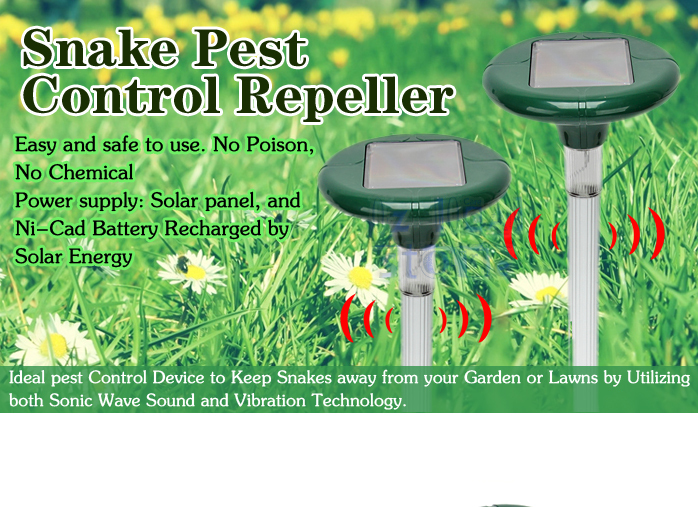 A device powered by solar energy, making use of pulsing vibration waves to repel snakes, moles, voles, etc By emitting pulsing vibration wave, the solar snakes repeller drives aways floor & underground rodent very effectively. To make the best use of the product, we strongly recommend an installation of 2 devices at very 30 meters for ground areas frequented by rodents. 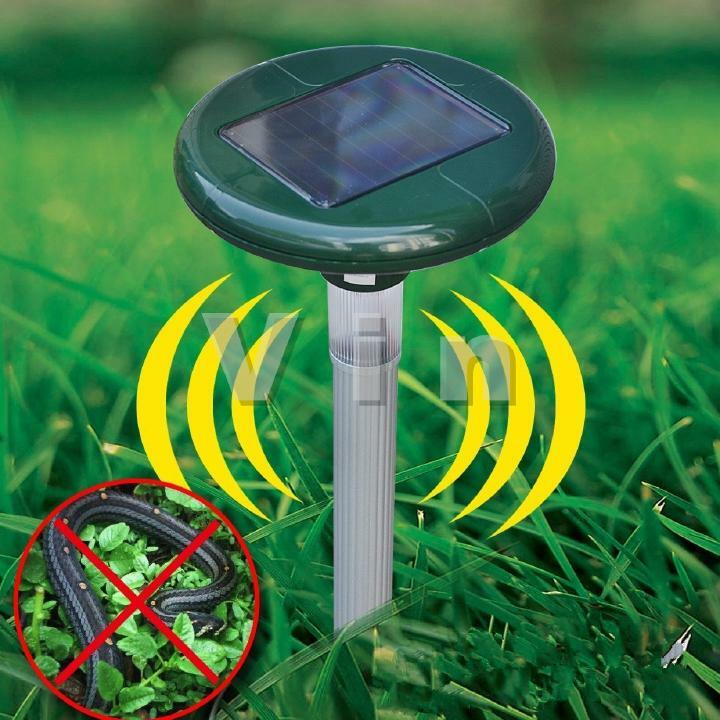 The solar snake repeller is supplied by a solar cell, a rechargeable accumulator collecting power for operation at night. When the accumulator is fully charged, it can supply enough power for the dark hous, then ensuring a continuous around-the-clock operation. 1. Before first use, you'd better insolation the solar panel for two days, then connect the cable and insert into the earth, so you will have better effective. 2. The base of the top shall be exposed to the outside, according to the terrain varies ensure the water does not exceed the safe line.